Zhu Ting and China were unstoppable as they won all 8 of their Asian Games matches in 3-0 sweeps. The loss of one star, plus the return of another, saw Thailand into the gold medal match for the first time in tournament history. Iranian setter Saeid Marouf had another brilliant performance to lead Iran to the finals of the tournament, where they’ll face South Korea. All four matches ended in 3-0 sweeps, with only 4 of those 12 sets seeing the losing team push even into the 20s before defeat. Qatar’s Ahmed Tijan Janko/Cherif Younousse Samba picked up their country’s first Asian Games beach gold with a 26-24, 21-17 win over Indonesia’s Ade Candra Rachmawan/Mohammad Ashfiya. China, meanwhile, went without a medal for the first time since 1998. The win for Qatar keeps their magical tournament run alive, and eliminates defending silver medalists Japan from podium contention. 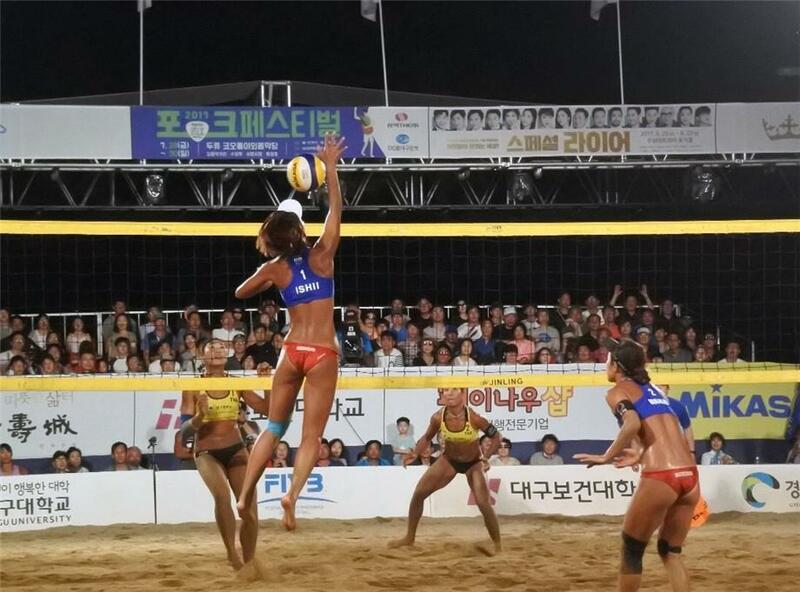 After 48 men’s and 32 women’s pool play matches, the Asian Games beach volleyball field was narrowed to 16 teams per gender moving on into the elimination rounds. China’s Fan Wang/Xinyi Xia won Pool A with a 3-0 record, while Japan’s Miki Ishii/Megumi Murakami were perfect in Pool B. Xia is aiming for another medal after becoming the youngest gold medalist in 2014 at the age of 17 (and 257 days). Pools C and D featured five teams apiece with Japan’s Azusa Futami/Akiko Hasegawa and Kazakhstan’s Tatyana Mashkova/Irina Tsimbalova earning top position with 4-0 marks. China has won each of the last four beach competitions at the Asian Games, while China, Japan and Thailand are the only countries to win a medal at previous events. Radarong/Udomchavee won gold at the 2012 and 2016 Games and were the silver medalists in 2014. The pair finished second in Pool D at 3-1 after dropping their opening match of the tournament to Mashkova/Tsimbalova. On the men’s side, each of the eight pool winners moved on alongside the second place teams. Two teams each from China, Indonesia and Iran won their respective pools. Raoufi/Saleminjehboroun won the 2017 Asian Championships, while Rachmawan/Ashfiya were the runnerup. Teams from nine countries make up the Top 16. China, Indonesia, Iran, Japan, Kazakhstan, Oman and Thailand, boasted two apiece. One team each from Palestine and Qatar round out the group. China is the only country to win multiple gold medals in men’s beach volleyball. Japan and Kazakhstan have won one gold apiece, while Indonesia rounds out the list of previous medal winners with two silvers and a bronze to its credit.